we mixed colors just like in the book. one day i did it in jars hidden in a brown bag. one day i did it in ziplock bags tucked in my lap. 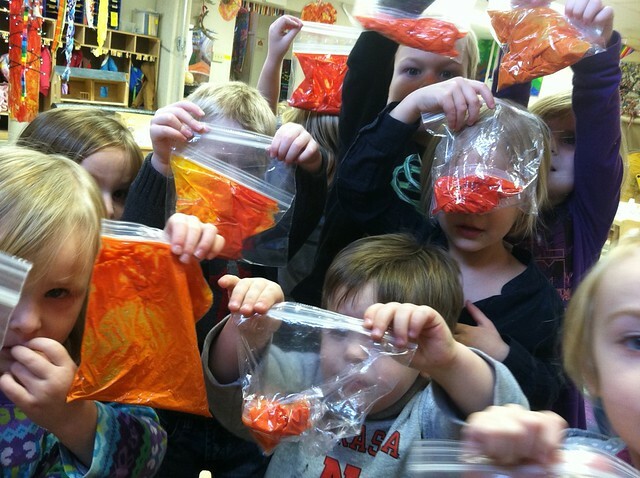 and then one day everyone got their own ziplock bag. super exciting stuff! 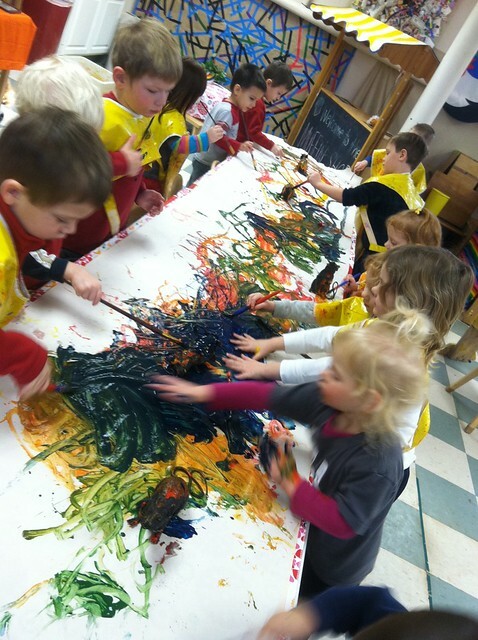 we used our mixed secondary colors and some more primary colors to cover a big piece of paper. 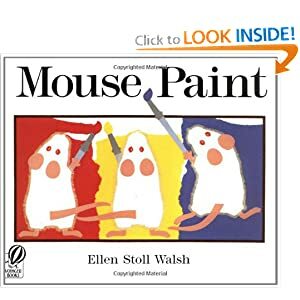 there were 5 plastic rats that we chose to call “mice” that painted with us. 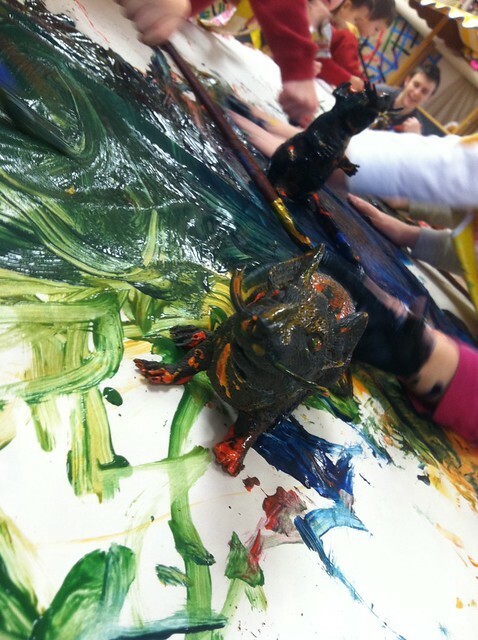 : ) we used brushes, hands, and mice to get the paint on the paper. 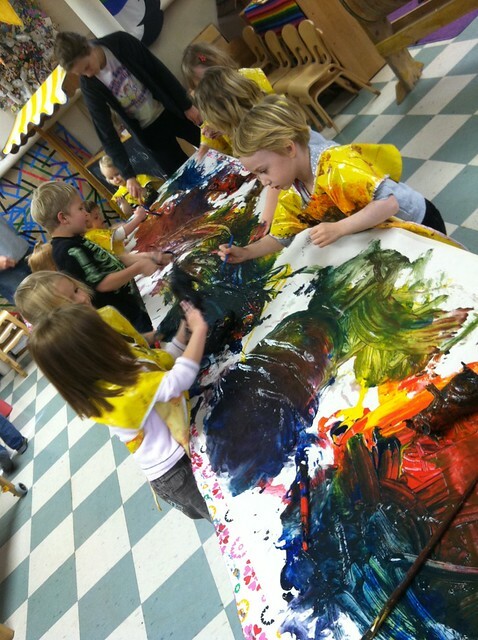 as usual, paint aprons are optional. and i witnessed again that some kids who wore aprons went home messier than those who didn’t! same with me. this is the season for “pulling up your sleeves past your elbows” because one thing that most kids don’t like are paint saturated sleeves for the rest of the day. one year we found little sponge like paint marks all over the classroom and determined it was from the edge of someone’s sleeve. it was kind of cute. 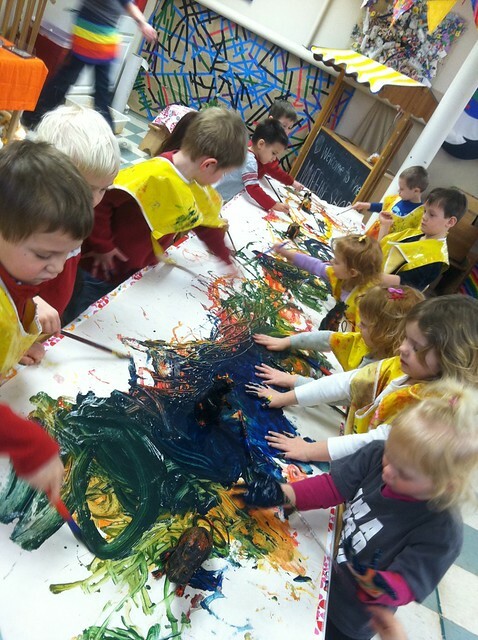 oh, mouse painting…what messy fun you were. thank you! i’m eager to see more ideas!